If you feel like taking a short break from the fast-paced city centre, it’s worth considering booking a desert safari in the nearby dunes. These exhilarating 4x4 drives through steep dunes get the adrenaline pumping and allow you to experience amazing scenic desert views. You can also combine this with camel riding or quad biking if you’re feeling particularly adventurous. 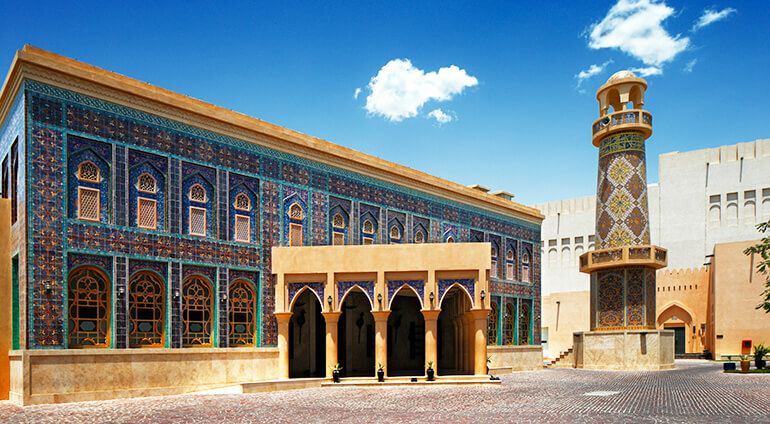 For a totally different out-of-town trip, head to the Sheikh Faisal Museum. This huge fort is home to a collection that ranges from vintage cars to fossilised dinosaur eggs. Or around 10km west of the city is Aspire Zone, also known as Doha Sports City, home to several sporting venues and Doha’s tallest structure, The Torch.